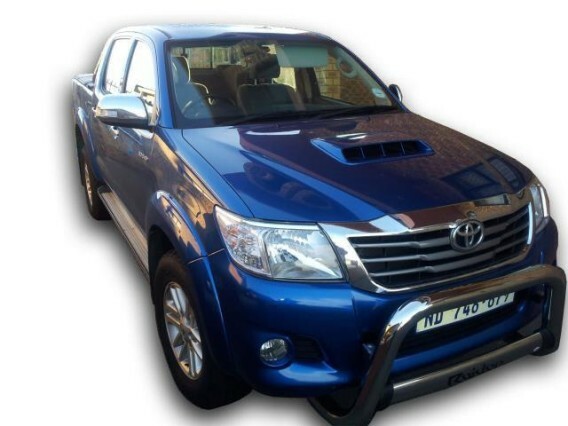 The 2014 Toyota Hilux 3.0 D4D is considered as one of the most imposing utility vehicles on the market capable of performing various tasks and being used for all kinds of trips. The vehicle combines a unique ability of being used as a family vehicle which will transport your family very easily and safely where you need to go, particularly with the newly added safety features specially for this model, and can also be used during the working days as your primary car for carrying loads or transporting various objects or materials with it. It is truly an all-round vehicle combines the best of both worlds. The 2014 Toyota Hilux 3.0 D-4D is the fourth installment of the Hilux series and if you judge it by its predecessors you will be getting a renovated vehicle which can be reliable and useful at the same time. To help you achieve all of the mentioned traits the 2014 Toyota Hilux can perform, an engine to match the needs was used. The 2014 Toyota Hilux 3.0 D-4D is equipped with 3 liter four cylinder D4D engine capable of achieving wondrous traits. It produces a very impressive 171 of horsepower at 3600 RPM and 253 lb-ft of torque. The approximate fuel consumption for the vehicle is estimated at 31 mpg or 7.6 L/100 km. The top speed that the truck can reach is somewhere around 106 mpg or if you are in Europe 171 km/h. The 0-60 acceleration can be achieved in 12.1 seconds, which is very impressive for a vehicle of this size. If you are willing to purchase the 2014 Toyota Hilux 3.0 D-4D and be a proud owner of perhaps one of the most versatile trucks on the market which brings together the usefulness of a utility vehicle and the comfort of a family car, you will need to spend some $33.900. Opposing the previous design the new one has suffered a lot of change. 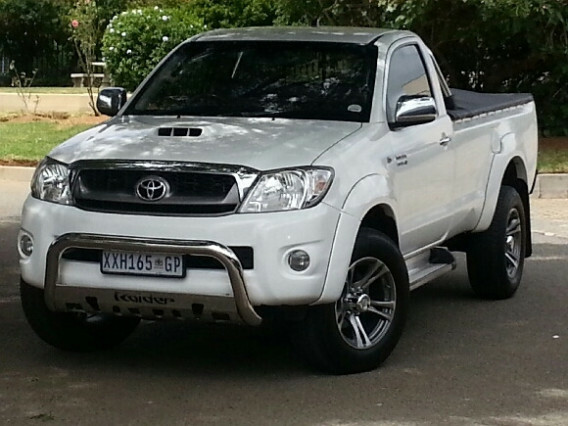 Almost all of the outer part of the 2014 Toyota Hilux is now new and has been upgraded to modern standards. Some would agree that this is a much needed facelift for the Hilux and that a fresh new look is what it needed. The changes are noticeable at the front as the bonnet was redesigned, a new radiator grill has been included as well as the headlights of the car and including the front bumper as well. So initially everything from the A-pillars has been remodeled and has allowed the car to become a much stylish vehicle but a rigid one which will continue the characteristic of it being a multipurpose car capable of performing various uses. 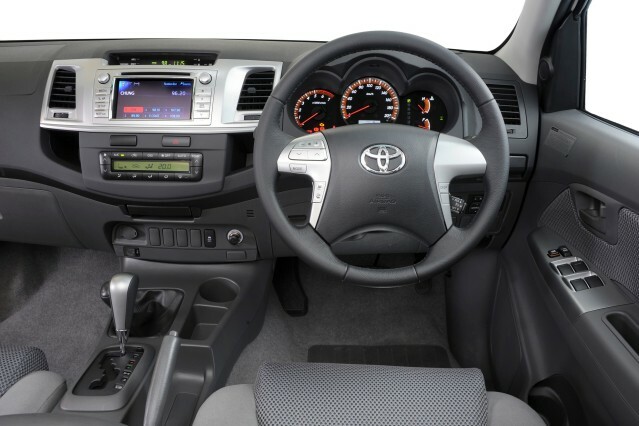 Venturing inside of the car, a person will notice some extra space added to the 2014 Toyota Hilux 3.0 D-4D. Extra space was truly something which the Hilux needed and especially if the car is going to be used as a family vehicle. 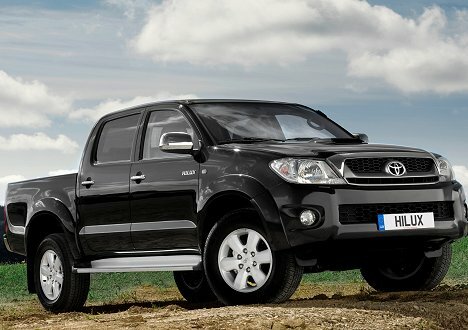 Extra comfort is available now and people will certainly enjoy taking rides with the 2014 Toyota Hilux. Generally speaking the whole interior haul has been set to feel more comfortable. Giving the 2014 Hilux a redesigned comfortable look was also achieved by adding a bit more grayish tone to the inside of the vehicle. This really makes a more serious atmosphere of the inside and says that the truck will need to be taken more seriously. Technical support of the car is enhanced with a 6 inch, full color, multimedia screen on the dashboard. And as for the safety features, extra padding was added to the knee part on the driver’s side as well as the incorporation of six air bags which has earned the vehicle a five-star ANCAP safety rating. 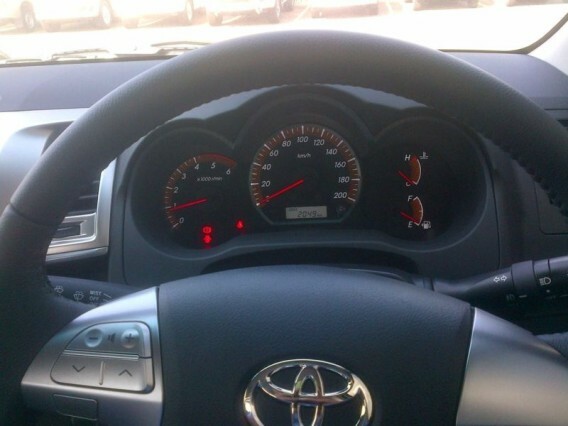 Upgraded safety features are something the 2014 Toyota Hilux prides itself with and is something which has been significantly changed compared with the older models.